From Goodreads.com: Widowed and destitute, Edwina White takes a position as governess in a remote village in the north of England—in a haunted house. She’s so desperate that she’ll take anything, and besides, she doesn’t believe in ghosts. Little does she know that her new employer is the seducer who lied and deceived her many years ago. This novella was originally published in the boxed set, Captivated By His Kiss. This was my first attempt at reading anything by Barbara Monajem, however it will certainly not be my last! I thoroughly enjoyed this story - everything seemed very well thought-out and executed. From the main characters, to the "ghost" herself - this story was told in such a way that it was easy to believe in the curse. I loved seeing how the characters interacted with each other (especially Richard and Edwina who were almost married at one point, but due to a misunderstanding did not - and subsequently held a grudge against the other). Throughout this entire novel I was right there with the characters trying to figure out the clues, and where what they sought was hidden. And I - just like the characters - had that moment of "OF COURSE" when at last the truth was revealed. The author had managed to skillfully place the clues right into the story without making them so obvious that the reader got ahead of the characters. 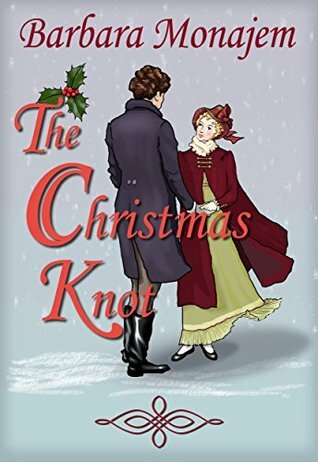 Overall, I would definitely recommend this novella to anyone who enjoys a good regency romance with a dash of the paranormal thrown in.